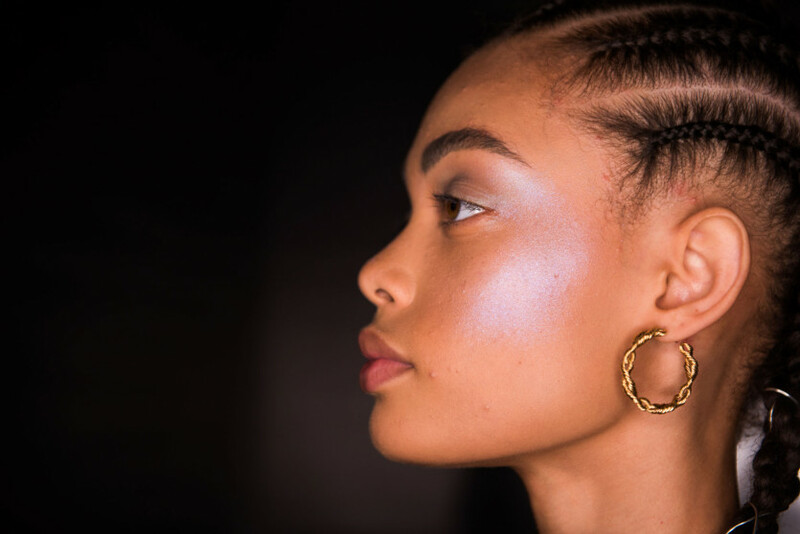 When we consider bumping up our highlighter’s wow factor, we think of adding more wattage or more metallic, but makeup artist Ashley Rebecca had another idea for boosting the glow on model Selena Johnson (whom you might recognize from the runways of Noon by Noor or Baja East). 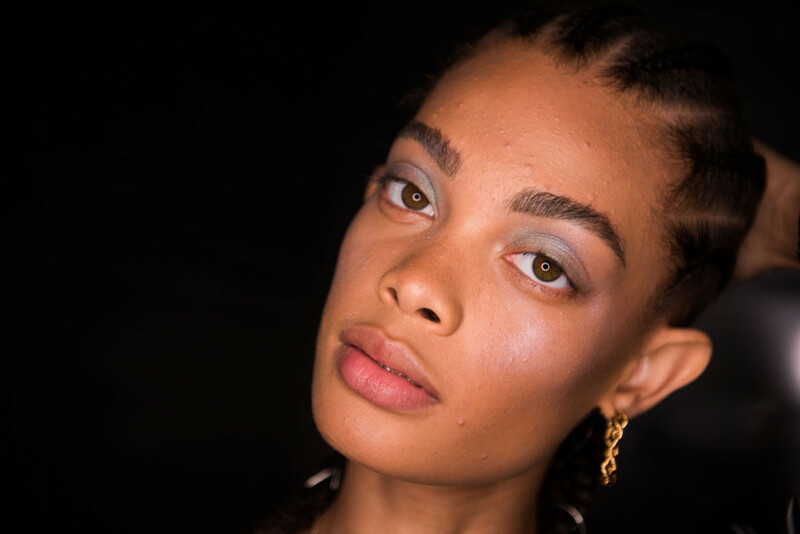 Rebecca created a “wrap-around” highlighter that covers Johnson’s eyelids and her cheekbones with a wash of icy blue. But instead of snow queen or robot, the impression it gives us is gleaming, dewy goddess. Rebecca shared her step-by-step with us below. Use a cream or liquid shadow in a light metallic blue across the eyelids, from corner to corner, then blend it in and slightly outward up to the brow with a small shadow brush to essentially create eye highlighter. 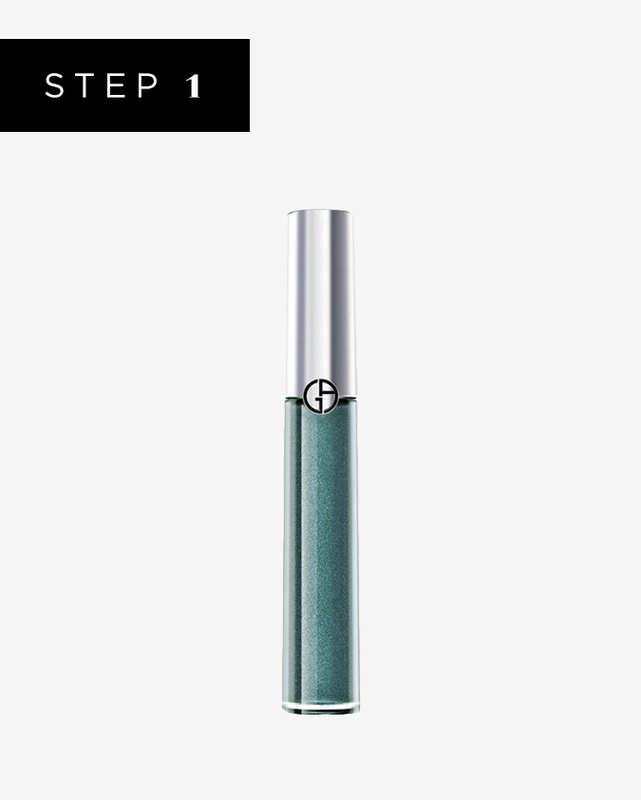 This very popular eye shadow leaves a wash of color or, in the case of this shade, a wash of metallic blue. Apply it straight from the doe-foot applicator. 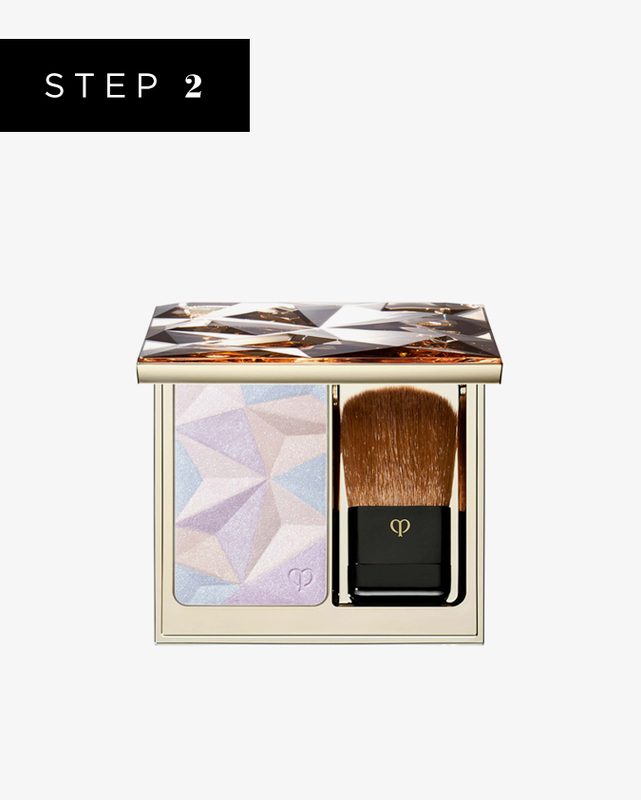 To start bringing this pretty sheen down onto the cheeks, take a faint powder highlighter—nothing too intense—and dust it on top of the liquid shadow and then over the orbital bone and across the cheekbones. Rebecca likes to use MAC Cosmetics #116 Synthetic Blush Brush. This classic illuminating face powder comes in several different shades, but all are extremely subtle and leave just a faint glow. This shade leans toward lavender. In the end you want this C shape of highlighter to really catch the light. Look for a highlighter that is high-impact, and apply it with the same fluffy brush over the eyes, including the brow bones, and down over the cheeks. 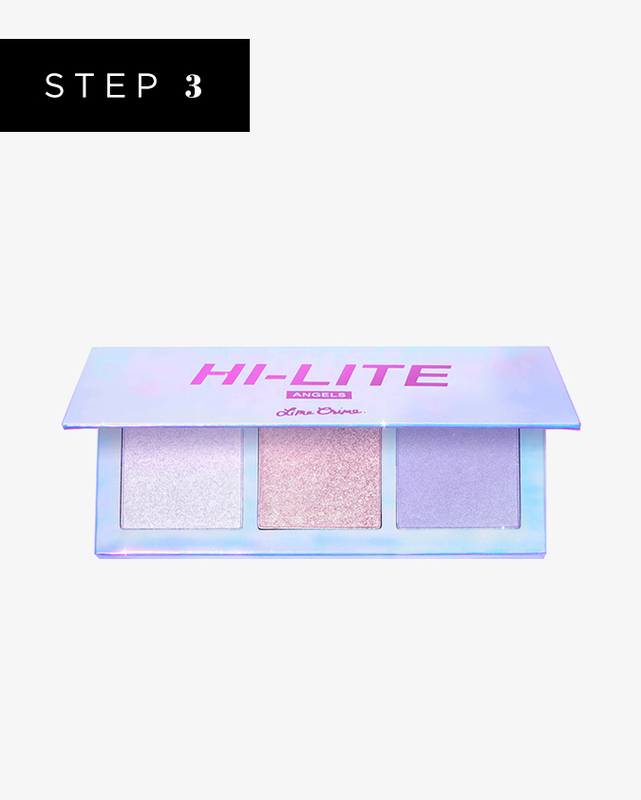 There are three shades in this palette, but Rebecca used the blue/purple-ish shade called Celestial to top off the eye color and base powder highlighter.